The survey has for many years been SA’s leading assessment of institutional stockbrokers. We were chosen as the partner for this prestigious survey having developed a solid reputation for research, particularly within the financial services industry. Our aim is to ensure that Ranking the Analysts is produced to the same high standards as it always has been. We have retained the essential structure and system that has proved popular and valuable for so long. However, we continually tweak the project to ensure it continues to meet the needs of the sell and buy sides, particularly following feedback we received. 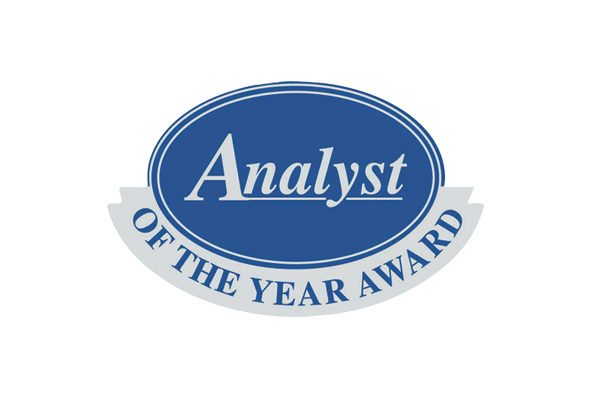 One widely welcomed move was the introduction of the Young Analyst of the Year award in 2015. The award is open only to analysts under the age of 30. There are two sections: equities research and non-equities research. The awards are decided by a panel of judges convened by the CFA Society of South Africa. Apart from the published results, Intellidex also produces an in-depth report for stockbrokers based on the research. For more information please email analysts@intellidex.co.za.